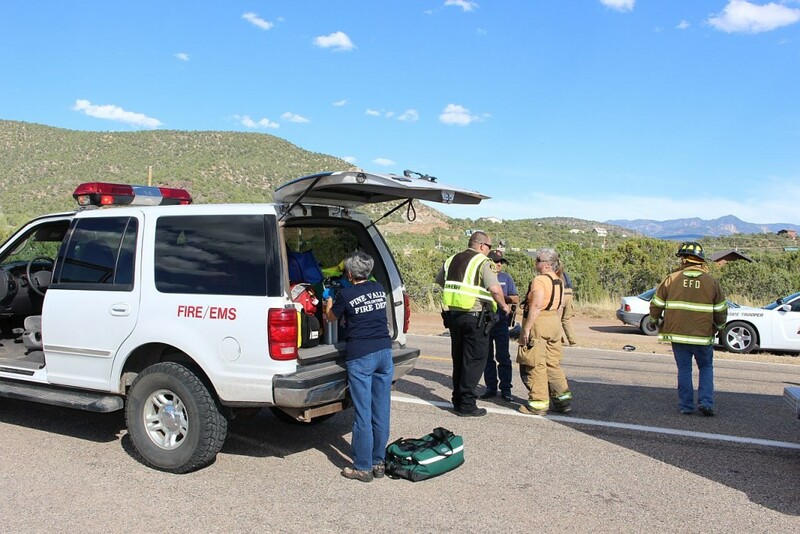 CENTRAL — A driver was watching preparations for the upcoming St. George Marathon instead of watching the road, and it led to a rear-end collision with a pickup truck in Central Wednesday afternoon. Just before 3:30 p.m., the Utah Highway Patrol received reports of an accident on state Route 18 at mile marker 27 in Washington County. 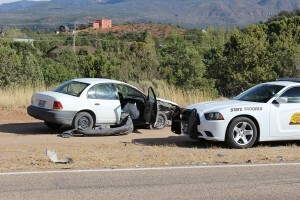 When responders arrived, they found a small white Saturn that had rear-ended a Ford F-150 truck. 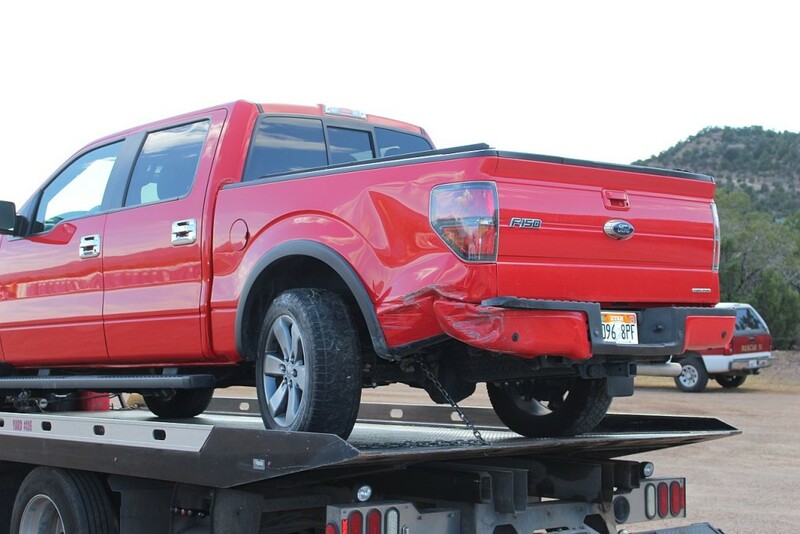 The truck had slowed to make a left turn at Matt Dillon Trail, just north of the marathon starting line, when the collision occurred, UHP Trooper Mike Murphy said. “Apparently, the driver of the car was distracted watching the marathon preparations,” Murphy said. 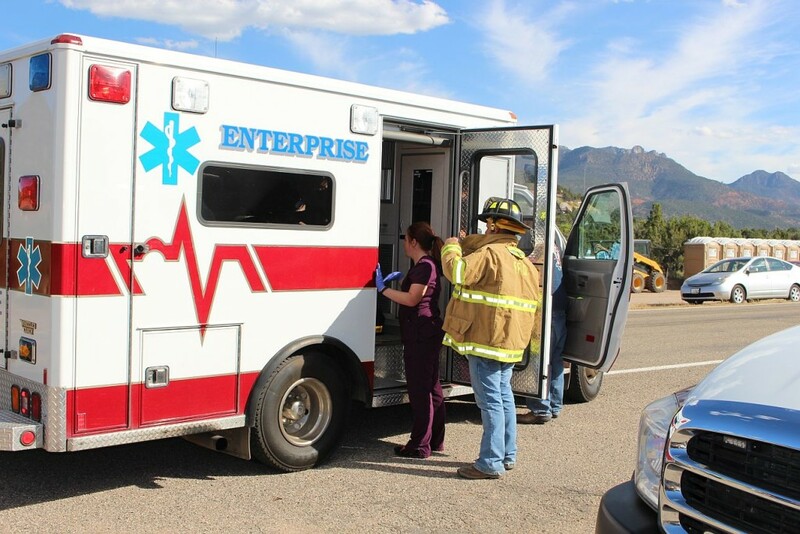 The driver and passenger in the car, as well as the driver of the pickup, were all taken to Dixie Regional Medical Center in St. George with minor injuries, he said. The driver of the passenger car was cited for following too closely, Murphy said. 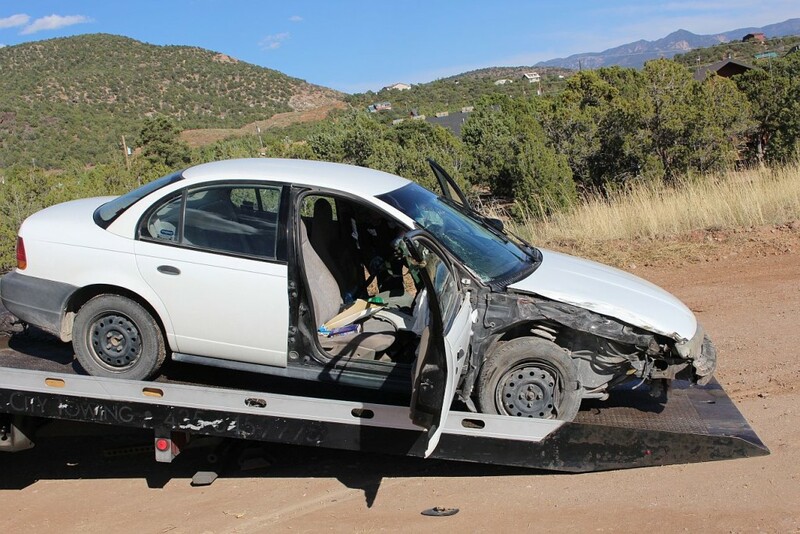 Traffic was affected for about 30 minutes in both directions while the occupants of the vehicles were medically treated and transported, both vehicles were loaded onto tow trucks, and the debris was cleaned up. 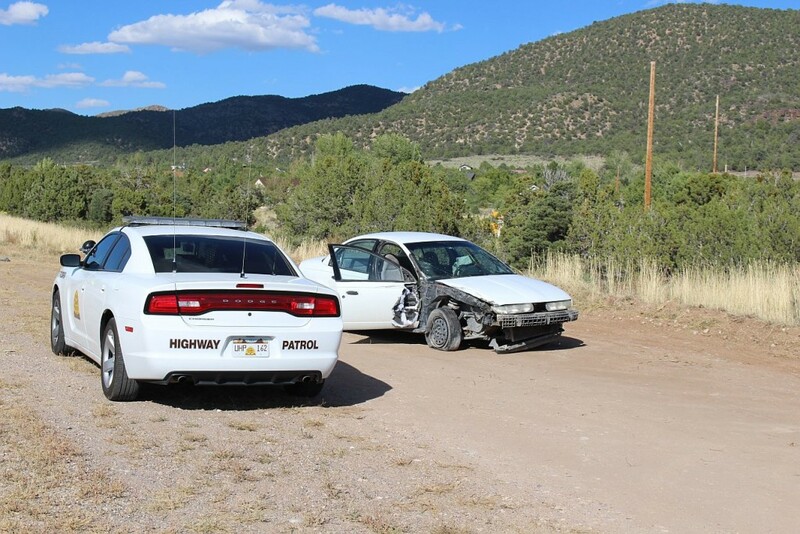 Units from the Utah Highway Patrol, Washington County Sheriff’s Office, Pine Valley Fire Department and Enterprise Fire Department responded to the scene. This is how the marathon brings millions of dollars to our economy. Oooooooh look at the pretty orange barrel thingies LOL. !